A face-to-face meeting can be 34 times more successful than an email according to a recent HBR article. Face-to-face meetings are always my preference when possible, but in reality it’s not always an option or an effective use of time. In sales, face-to-face meetings can be expensive, time consuming, and can seem like a large scheduling commitment for all involved. 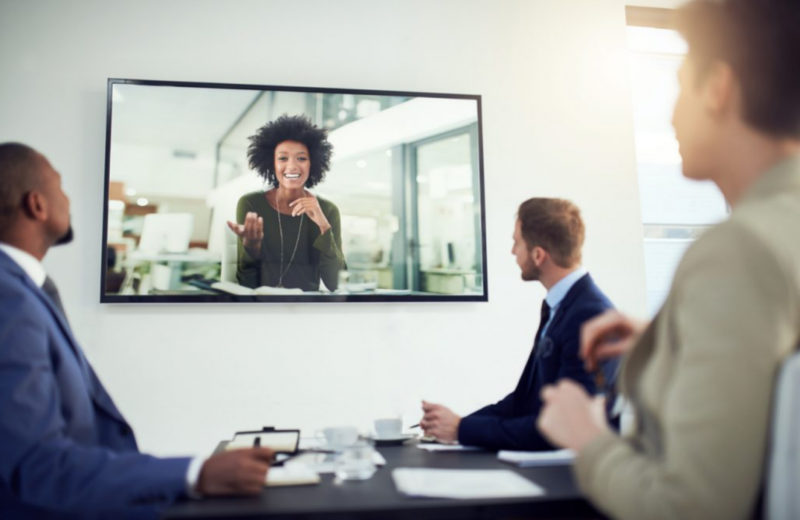 Video conferencing can give you many of the benefits of a face-to-face meeting while also allowing flexibility, cost savings, and scalability. Video conferencing software has become much easier to use and these days most laptops have cameras built in. I asked sales experts what it takes to make the most out of video conferencing in the sales process. Turn on your video! Video is authentic, engaging, and improves the way you communicate with your buyers. Remember, your competition likely isn’t leveraging video, which makes it all the more so why you SHOULD leverage video on every sales call! Even if they don’t turn on the video, leave yours on. It will help humanize you. Remove the professional distance as fast as you can! Mario Martinez Jr. Putting a little bit of effort into incorporating these tips into your next sales meeting over video conference can help you reap a lot of the benefits of a face-to-face meeting with all the inherent benefits of a video conference. One final tip? Use the best video conferencing software. Sign up for a 1-1 demo with a Zoom product specialist to get started.